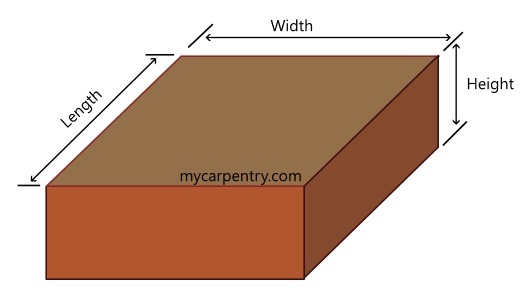 The cubic yard calculator calculates cubic yardage based on input of the Length, Width, and Height of a given space in feet or inches (or both feet and inches if you prefer). This calculator can be used as a concrete cubic yardage calculator for estimating the amount of concrete needed for a slab or patio or as a cubic footage calculator to determine the cubic feet of a room or shipping container. Enter the Length, Width and Height values and click the Calculate button. For each of the three values, you can enter the number in feet and/or inches. The two fields are added together, so it really doesn't matter what combination you use. A Length of 3 feet in the Feet field and 12 inches in the Inches field, would result in a total of 4 feet (or 48 inches). For convenience, the results are displayed in both decimal and fraction format. This free online calculator also calculates the total cubic feet of any given cube shaped object or room. This can be helpful for sizing air conditioner and heating units. There are many situations where this calculator can be useful. Try entering different numbers in the Feet and Inches fields to see how this calculator works. The cubic yard calculator is perfect for estimating concrete, because when you call a concrete company and order concrete, the first question they will ask is, "How many yards of concrete do you need?" I used this calculator to estimate the amount of concrete I needed for a 10 x 20 slab that I was pouring for my backyard patio. I designed my slab to be 6 inches thick and used wire mesh and rebar to reinforce the slab. If you plug these dimensions into the cubic yard calculator, the result will be 3.7 cubic yards (or a fraction value of 3 11/16 cubic yards). I always order a little more than what I need - you don't want to come up short when pouring a slab. For more information about concrete slabs, visit www.everything-about-concrete.com. To use this calculator, enter the width, length and height in inches or feet (or in feet and inches if you prefer). If you enter values in both the feet and inches fields, the two values will be added together. For instance, if you enter a value of 2 in the "feet" field and a value of 12 in the "inches" field, the result will be 36 inches (or 3 feet). Click the Submit button to view the Total Cubic Yards and Total Cubic Feet in fraction and decimal format. The Clear button clears all of the fields and resets the values to 0.